AUG 26 — The issues affecting our education system currently being deliberated have far-reaching and enduring consequences. 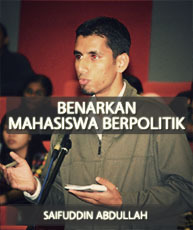 Concerns such as the autonomy and rating of universities, the transformation of polytechnics, the strengthening of community colleges, the advancement of technical and vocational training, the improvement of co-curricula and individual aptitude, the abolishing of the UPSR and PMR examinations together with allowing graduate teachers and lecturers to be involved in politics as well as permitting students at institutes of higher learning to be members of political parties are at present hotly debated. A number of the above issues have been made policy and implemented whilst various others are currently in discussion. In this context, we require structured discussions with the relevant parties whose views and insights would be given due consideration before any conclusion or policy can be reached and put into practice. Any changes to education; being a fundamental necessity of society, requires a vigilant and almost cautious approach. Structurally speaking, representation from every stratum of the education fraternity is vital. However, representation should not be limited to the ministry, the management of institutions of learning, teachers/lecturers, alumni or parents. Most significantly, students, who are the principal beneficiaries of the education system, should be predominantly involved. They should not be left out and leave their fate in the hands of others. Nevertheless, student representation has to be made up of individuals who have been democratically elected by their peers. If not, it would be an exercise in futility. The same principle applies in relation to representatives from other interested parties as well. Individual interests’ aside, it has to be cautioned that any discussion on education has to be a team effort. Process wise, parliamentary committees, meetings, seminars and think-tanks are some of the conduits of views. In ensuring the possibility of successful discourse, representatives would have to be involved from the get-go. Any attempt to exclude any party; intentionally or otherwise, would inadvertently take us back to square one. The process itself cannot be rigid. Those involved cannot be stopped from external discussions, giving talks and lectures or making press statements. Those not directly involved within the structure and process proper should be encouraged to voice their concerns and ideas through the various channels available. In terms of content and its dissemination, it is imperative that a self-developed educational thought is construed. We should not limit ourselves to the constant allegory of bureaucratic discussions. I have never been impressed or awed by the United States. In fact, I detest its hegemony. Nonetheless, it would be erroneous for us to ignore the maturity of its ideas, which has enabled it to prolong and cement its stay as a world power. In the ‘60s, in need of an education reformation in the fields of science and mathematics, there was the publication of major works such as “The Process of Education” by Jerome Bruner (1960). In the ‘80s, when General Motors and its ilk were susceptible by the influx of Japanese products, a report entitled “A Nation at Risk” was published by a national commission on schools. In 1987, an initiative for the reformation of education was instigated by the Carnegie Forum and the National Center on Education and Economy, which lead to the publication of Ray Marshall’s and Marc Tucker’s (1992) “Thinking for a Living”. In 2005, Thomas H. Davenport published a book of the same name, but with a more contemporary focal point, the knowledge based worker/k-worker. The jeopardising of its human capital led to critiques from intellects such as Allan Bloom (1987), “The Closing American Mind”, Noam Chomsky and Donald Macedo (2000), “Chomsky on MisEducation” and Anthony T. Kronman (2007), “Education’s End”. When faced with the new-fangled challenges brought about by the employment sector, Robert B. Reich (1991) with his “The Work of Nations” detailed new categories of employment, the accumulation of skill and knowledge and ensuring that each citizen has a place in the global economy. The threat posed by foreign labour and expertise from China and India instigated former Harvard University president Derek Bok (2006) to write “Our Underachieving Colleges”, which scrutinised how far, and how much students were learning and why students should gain more knowledge. In implementing curricular reform at Harvard University, Lawrence Summers, who had succeeded Bok, encouraged open debates which included students, through Harvard’s publication “Crimson”. Meanwhile, Professor Harry Lewis (2006) in “Excellence Without Soul” put pen to paper to a tome criticising Summers, his superior. It would be a fallacy to claim that we do not have any important reports or writings. We do. Nonetheless, it can only be said to be small in number and even smaller in avenue. We truly need, in much haste, our own educational thought in order to guide our discussions and deliberations regarding issues on education. Merely as an example, we still view the trials and tribulations faced by our students with foreign tinted glasses. Our students are Asians. The psychology of education we practice is still predominantly from the West. Moreover, most of these are written by psychiatrists. This knowledge is significant. But to resolve student-related problems. In building student character or personality, we require other forms of knowledge. Would it not be an error of judgment if we were to apply expertise in problem solving in an area such as character or personality building? I’d consider that a start. At least we have some form of knowledge. It would be even worse if we were to manage student affairs without a hint of comprehension! To improve matters, the tried and tested route is to further develop training in the field of education. This is a step in the right direction. Except, what are our thoughts behind the training? Most of it is still replicated from foreign shores. Some have disputed the need to develop what is already in place. My grouse is that the greater part of present-day educational thinking is based on Western methods, much of which is inappropriate in the local context. Further perils arise through the agenda of intellectual colonialism. As such, we must, with our utmost efforts and resources continue the struggles and hard work laid down by our renowned figures in education, which had unfortunately been hampered by certain quarters (who have failed to generate any positive educational thought). Thus, the recent initiative by Universiti Sains Malaysia in organising the lecture by Prof Dr Syed Muhammad Naquib al-Attas entitled “Higher Education in Islam” on August 9, 2010 should be lauded. Naquib, an eminent scholar in contemporary Islam, had systematically defined the meaning of education. He had also succinctly detailed a system which would bring these ideas to fruition, by starting, strategically, at university. In his speech, Naquib had stated that the ultimate aspiration of Islamic education is not merely to produce good citizens or good employees, but to breed wholesome and good men. Good citizens or employees would not necessarily be model individuals. However, wholesome and good men would certainly be model citizens and employees. Let us collectively develop our own educational thought. 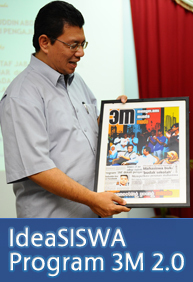 * Datuk Saifuddin Abdullah is the Deputy Higher Education Minister. * This is the personal opinion of the writer or newspaper. The Malaysian Insider does not endorse the view unless specified.